In today’s financial industry, competition is global, and all that matters is talent. Talent wins. Cultivation of talented finance experts is a strategy essential to developing Shanghai as an international finance center. One important approach to meeting Shanghai’s demands is working with international institutions to develop talented and qualified candidates. The School of Economics and Management has extensive experience in international exchange and a philosophy based on working with our international counterparts in education. 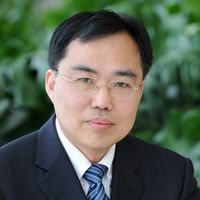 The MBA/MSM-Finance double-degree program with Weatherhead School of Management at Case Western Reservation University is an innovative model designed to integrate Weatherhead faculty’s cutting-edge knowledge, skills and expertise in financial management with Tongji SEM’s reputation and competency in MBA leadership education. These two complementary sets of knowledge will benefit your professional growth tremendously. You will gain advanced knowledge and skills from faculty members of both institutions who offer top-notch academic expertise and extensive industry experience. You will obtain a global perspective with deep understanding of Chinese applications. You will gain general management training with a focus on financial management expertise. Above all, you will be prepared to take a leadership position in finance. Join our MBA/MSM-finance double degree program. It is time to enhance your career prospects in Shanghai’s huge financial sector.